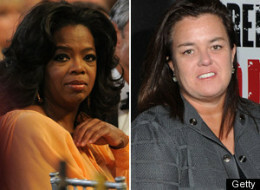 Oprah Winfrey took to Twitter to dismiss rumors that there was an ongoing feud between she and new employee, Rosie O'Donnell. Oprah must be really fed up with the haters because she's not known to address a lot of rumors about herself. Bravo to her for calling out these fabricators (SAT word) who don't have anything else to do with their time besides making up things about other people.